Make a donation to support the two dancers who will be awarded the Audience Favourite Prizes! Very often, a Prix de Lausanne Prize Winner must do his/her own crowdfunding campaign to be able to pay for the expenses to get to his/her partner school or company. Thanks to your help, the dream will much more easily come true for two dancers! Help the Audience Favourite AND the Web Audience Favourite Prize Winners 2019 to pay for their travels, hotels and food to get to their chosen partner school or company! Contribute to open the doors to the world’s finest schools and companies for these young dancers. 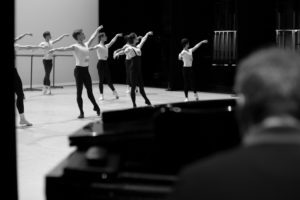 Contribute to the Prix de Lausanne’s mission which is to reveal the potential of exceptionally talented young dancers from around the globe by having them perform in front of a jury composed of world-renowned dance personalities. What are the Audience Favourite Prize and the Web Audience Favourite Prize? The funds raised by this campaign will be shared between both the Audience Favourite and the Web Audience Favourite Prize Winners. 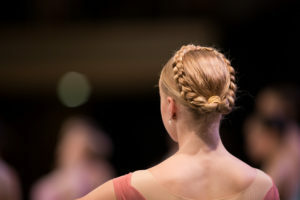 This Audience Favourite Prize reflects a “favourite preference” that the Beaulieu Theater’s audience has during the Finals. This prize rewards the Finalist having earned the most votes expressed by the audience the day of the Finals. To vote, send the code PDL followed by the number of your favourite Finalist to the number 939 (20 cents per SMS). Example: PDL 143. This service is only available to people with Swiss mobile phones. The Web Audience Favourite Prize is attributed to the most voted candidate by the web spectators that watched the competition through the live streaming. Vote online directly on Arte Concert’s website the day of the Finals.